It has been less than 24 hours since Apple released the iOS 6 update for many of its existing devices – iPhone 4S, iPhone 4, and the new iPad, to name a few. However, that tiny amount of time was enough for those code-crunching experts to jailbreak the platform’s latest release, albeit to a limited extent. 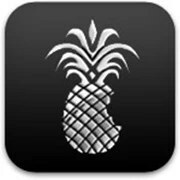 The iPhone Dev-Team’s Redsn0w jailbreak works with iOS 6 on several devices, namely the iPhone 4, iPhone 3GS, and the fourth-gen iPod touch. Note that the jailbreak is tethered, meaning that the procedure has to be repeated each time your iDevice needs a reboot. Newer devices, such as the iPhone 4S and the new iPad are not supported yet, and there is no word whether they will be anytime soon. In case you are ready to jailbreak your iPhone, despite the hack’s limitations, there is a detailed tutorial available at the source link below. Just don’t forget that there’s always the chance of ending up with a bricked handset, so proceed at your own risk. This entry was posted in apple, apple iOS, apple iphone, apps, iOS, iOS 6.1.4, iphone, iPhone 3gs, iphone 4 and tagged Apple, iDevice, IOS, IOS jailbreaking, IPad, iPhone, iphone 3gs, iphone 4, IPod Touch. Bookmark the permalink.